Contrary to what you might think, putting together a bunch of highly rated components doesn't automatically give you a fantastic system. Due to the nature of sound, and personal preference, different combinations work better than others. You may find that you really like a pair of speakers connected to one amp, but not another. This is why it's a great idea to get yourself booked into one of our demo rooms to listen to your options in a comfortable environment, just like a living room. In the meantime, we've put together some of our favourite systems online. What else do I need to get my system up and running? Our systems include the units shown, so you'll need to make sure you've got the right cables and other accessories to get it all set up. There are many reasons why we do this, chief of which is that we don't know exactly what you're going to need! Say you've already bought your speaker cable a couple of months earlier to get it wired in advance, you're not going to want it all over again! 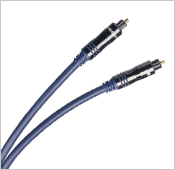 If any of our competitors are offering the same system with bundled cables, pop along or give us a ring and we'll beat their price, subject to a few simple terms and conditions. How should I split my budget between components? This can be quite a divisive topic among hi-fi fans, with differing opinions on what is the most important part of your system for the sound quality. 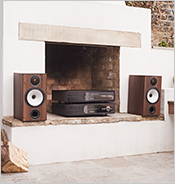 We'd say that you simply want to make sure you have no weak links in your system - there's simply no point in having a fantastic pair of speakers if your amplifier doesn't have the power to drive them, for example. This extends to accessories - cables, racks and speaker stands all have a major impact on the overall sound quality. Even the positioning of your speakers has a huge effect on the performance. Thankfully, you don't need to get bogged down in all of this. Simply let us know what you want from your system and we'll find the right match for you.